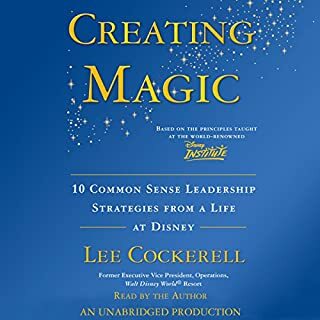 During Lee Cockerell’s career at Disney as the senior operating executive of Walt Disney World Resorts, he led a team of 40,000 cast members (employees) and was responsible for the operations of 20 resort hotels, four theme parks, and two water parks. As you can imagine, Lee had to become a time-management expert, first as a means of survival and then as a way to help others make the best use of their time. 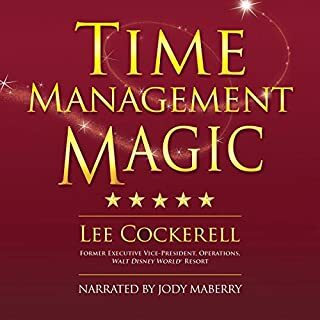 The time-management secrets he developed have become one of his most requested corporate-training lectures and are now available to you in this tell-all audiobook. Career Magic is full of priceless advice and insightful experience. 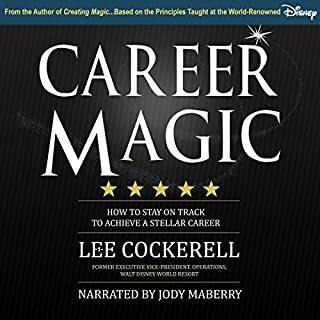 Lee Cockerell chronicles how he dropped out of college, rose through the ranks at Hilton and Marriott, and eventually became the executive vice president of operations for the Walt Disney World Resort. Lee candidly shares the specific things he did to experience such dramatic success in the corporate world, but he also shares the mistakes he made along the way and the million-dollar lessons he learned that ultimately led him to the top spot at the number one vacation destination in the world. "Dream, Believe, Dare, Do...." Though four simple words, this carefully crafted credo lies at the heart of Walt Disney's enviable empire and has led The Walt Disney Company to prosperity for decades. As foremost experts on Disney, authors Bill Capodagli and Lynn Jackson return with an updated and expanded third edition of The Disney Way to show how organizations can incorporate this four-pillared credo to support any business, drive any team, and guide any leader to create immeasurable success. 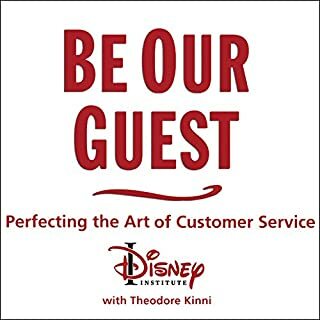 The former EVP of Walt Disney World shares indispensible rules for serving customers with consistency, efficiency, creativity, sincerity, and excellence. As simple as they are profound, these principles have been shown to work in companies as large as Disney and as small as a local coffee shop; from businesses selling cutting-edge technologies like computer tablets to those selling products as timeless as shoes and handbags; at corporations as long-standing as Ford Motors and those as nascent as a brand-new start-up. And they have been proven indispensible at all levels of a company, from managers responsible for hiring and training employees, setting policies and procedures, and shaping the company culture to frontline staff who deal directly with clients and customers. This audiobook was amazing. Lee explains the rules in the most memorable way. I have now changed my whole attitude towards my customers and as a result the response from them has also changed. Its just makes business so much easier and more pleasurable. It was an absolute slog to get through this book. The narrator is so monotone and boring it was very difficult to stick with it. The actual content of the book was great. Buy the physical book to read or find a better narrator. This book is definitely worth the read! Customer service just the way it should be done! Apart from this book being short and precise, this is the kind of stuff every business person should listen to daily... This book reminds me of the great secrets of the ancients! The narrator delivers this book like it was the most important thing on his mind. And yes I could gobble this book up thrice a month! I have worked customer service for over five years and just pay Amy reading this book after all those years I have learned so much that I did not know and I learned some new stuff that I could act on changing the way I talk to customers or approach customers or the way I help them anyway what I’m trying to say here is it everybody she read this before getting a job this is been a big experience on myself I feel like this is really going to help me and it should help others and everybody else to everyone should read this before getting a job!!!!! I will be listening to this book more than once. I co-own multiple restaurants and I want to be the best at customer service! I have to be better to teach my staff to be better. It’s hard to beat his first book creating magic. I rank that book in the top 3 business books I’ve ever read. This book was good but not great. Besides the rules the most valuable part of the book are the stories from Lee. there's nothing like actual examples and and results from practice. The one challenge with books like this is the number of rules. It's not practical to work with your team on more than one or two at a time, assuming of course the team is already been trained. Lee shares his extensive experience in the hospitality business in such a clear and concise manner that it seems as though the "39 essential rules" should be self-evident. Unfortunately, finding places where guest/customer service seems to be an important part of the culture are still far too rare. Lee shares his extensive experience creating a culture of service at what has come to be regarded as one of the most successful customer-centric vacation destinations in the world. 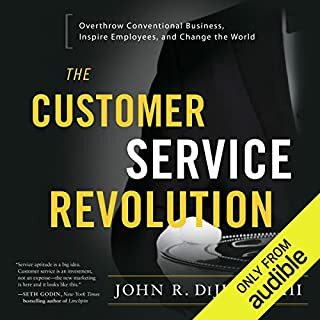 A truly essential read for anyone who desires to create or contribute to developing a culture of service for their organization, regardless of the industry or business they are in. I liked the tips and the anecdotes presented in this book. Lee is not pretending that many of the "rules" are common sense but rather excellent reminders for professionals. I highly recommend this quick listen. 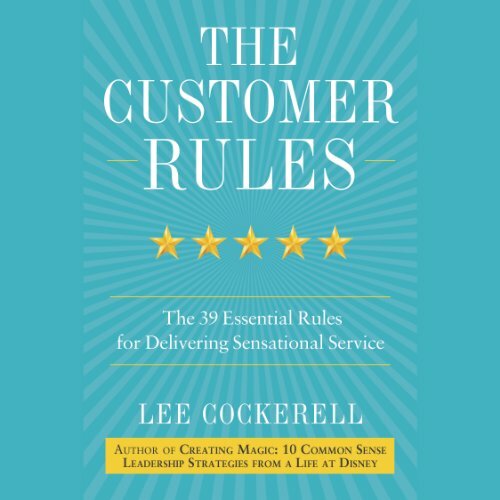 Would you consider the audio edition of The Customer Rules to be better than the print version? 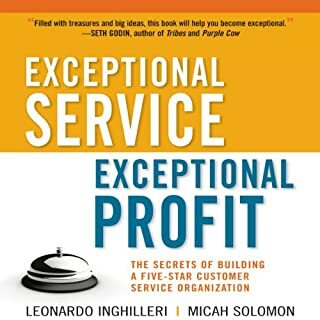 Great book - simple set of rules that any company can follow with lots of examples of how they work.